Captured this one, from this past spring, of the passing train. 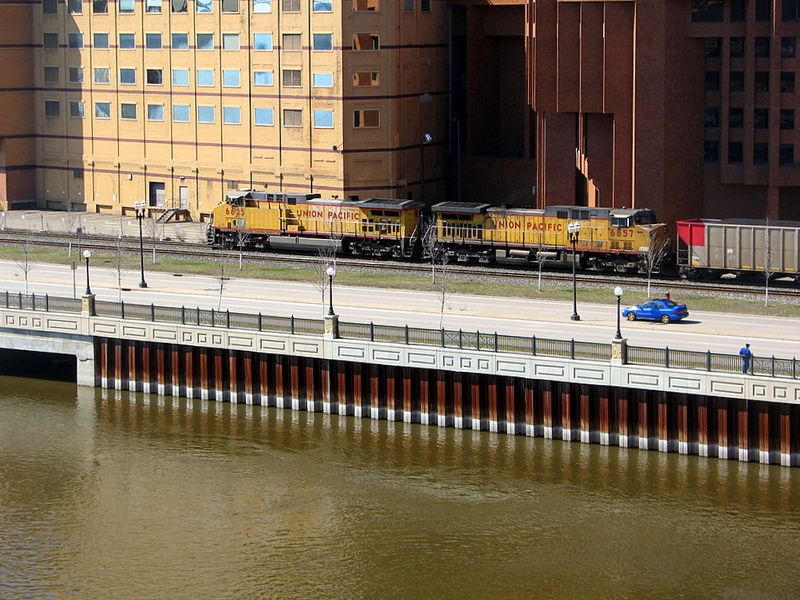 The tracks run along the Mississippi River and Sheppard Road. If you follow the buildings in the background up, you'd see downtown St Paul. I completely missed the train and had to look again to spot it. Looks like they dont know which way to go. STrains are such an interesting thing to capture. I need to get out and finds gems like this one. Hello from New York! I love the train photos. Nice photos.